Sturdy white epoxy coated aluminium frame. 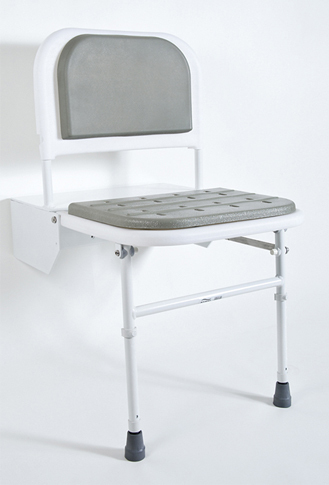 Clip on moulded seat and back rest with PU padding. Fold down adjustable height legs. When showering and bathing the floors can be very slippery and its important that the user feels confident and comfortable in that environment, so providing a shower chair gives user and carer that extra aid and support they need.